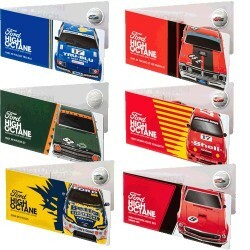 Search "motorsport" 9 results have been found. 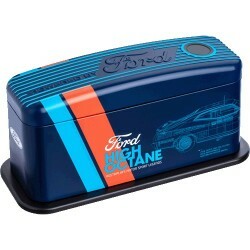 2018 Ford Motorsport Collectors Tin Only - No Coins - Tin Only - Suits 2018 50c Ford Collection Cards - Perfect gift for that Ford fanatic. 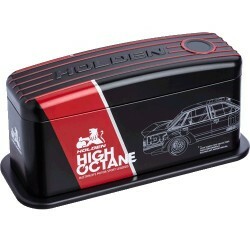 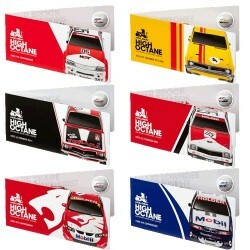 2018 Holden Motorsport Collectors Tin Only - No Coins - Tin Only - Suits 2018 50c Holden Collection Cards - Perfect gift for that Holden fanatic. 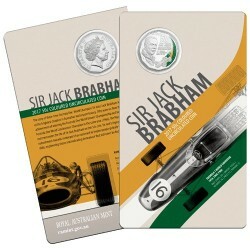 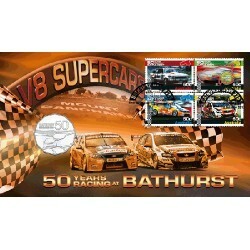 2013 50c 50 Years of Bathurst Coin in Card When Bathurst mayor Martin Griffin opened the Mount Panorama Scenic Drive in 1938, he could only imagine that the 6.2 kilometre stretch would one day become Australia’s most famous raceway. 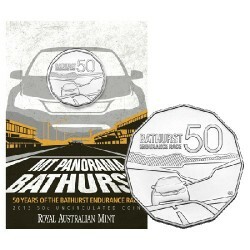 2013 50c 50 Years of Bathurst Coin & Stamp Cover PNC When Bathurst mayor Martin Griffin opened the Mount Panorama Scenic Drive in 1938, he could only imagine that the 6.2 kilometre stretch would one day become Australia’s most famous raceway.